The Canadian union Unifor is meeting with General Motors in an effort to keep the Oshawa Ontario plant open. WINDSOR, Ont. 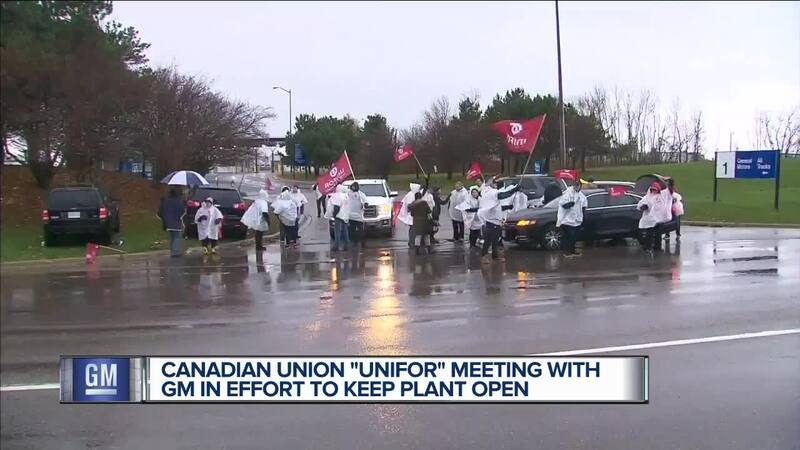 (WXYZ) — After two meetings at General Motors headquarters, Canadian Unifor National President Jerry Dias says GM executives won’t change their plans to close the GM Oshawa plant this year. Dias expressed disappointment and anger during a news conference in Windsor Tuesday. He says this is corporate greed with GM moving more work to Mexico. He also said they are looking at possible litigation over the contract they signed with GM in 2016 that expires in 2020. He is not calling for a boycott of GM because it still provides jobs at other Canadian operations. nifor workers staged a sit-down strike inside the plant Tuesday evening, which brought the assembly line to a hault. The workers also staged a wildcat walkout back in November the day GM announced it was closing 5 plants, 4 in the U. S. and Oshawa. The Oshawa plant is the hardest hit with 2,500 hourly and 500 salaried employees. Dias said they will not just continue the Save Oshawa GM campaign but also ramp it up with a rally on Friday in Windsor. That includes a TV ad now running in Detroit that states Canadians gave GM a bailout of almost $11 Billion when it was in bankruptcy a decade ago. GM has said they won’t change plans because it will cost them more to operate and make them less competitive.